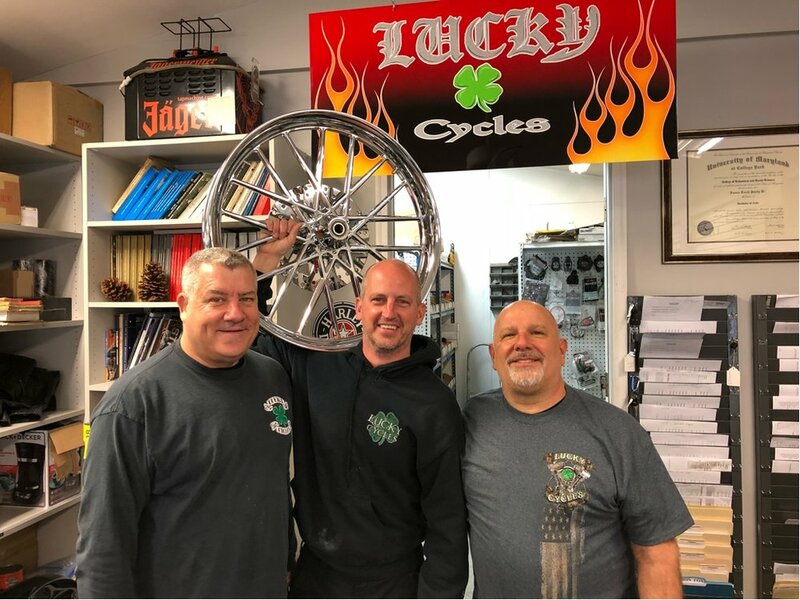 I’m Jim Purdy, Founder and operator of Lucky Cycles. Despite my love for hands on mechanics, my Father urged me to go to college. I did and I received a BA in Criminology and Criminal Justice. I subsequently was hired by the United States Capital Police where I served for 4 years before moving to the Metropolitan D.C. Police Department. I was a member of a 13 man unit called the H.I.T.T. squad (high intensity tactical team) which doesn't exist anymore. We received a merit from Chief Ramsey for the most productive unit in the city. We made over 2000 arrests in one year pulling over 100 weapons off the street and a ton of narcotics. After another 4 years in D.C. I needed a change and I decided to return to my dream of building a business based on my love of working with metal and machines. I set out to start Lucky Cycles. I was still working at the department, and I had lots of sleepless night and days full of appointments, getting permits, and setting up shop.